Vitamin C, also known as Ascorbic acid, is a water soluble antioxidant which helps neutralize harmful free-radicals in cells. ** In addition, vitamin C plays a key role in the body including the formation of collagen and hormones, amino acid metabolism and iron absorption. 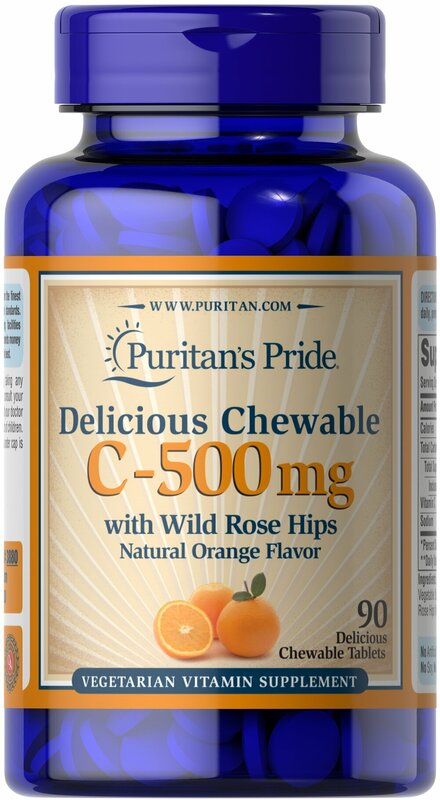 ** Each delicious orange flavored tablet contains 500 mg of vitamin C with Rose Hips. This is 833% of the Daily Value for adults and children over 12 years of age. No Artificial Color or Flavor, No Starch, No Milk, No Lactose, No Soy, No Gluten, No Wheat, No Yeast, No Fish.